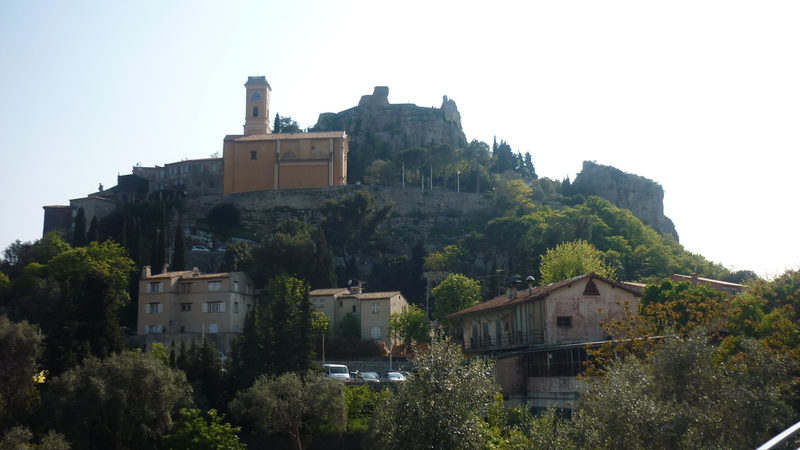 Eze is one of the stops on the picturesque 40km stretch of railway line that runs east along the coast from Nice to Ventimiglia at the Italian border, passing through Monaco and Menton on the way. 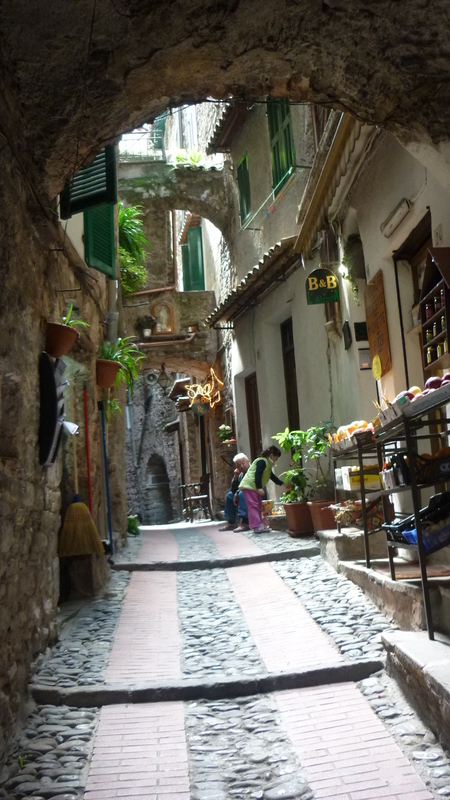 Listed in most of the guidebooks, the commune of Eze is structured on three layers up the side of a mountain and is famous for its eagle’s nest Village, perched at an altitude of 450m. – At sea level, Eze Bord-de-Mer is mainly noted for a nice beach (rocky like most of the beaches in the area) with good surfing waves in the winter at the bottom of a beautiful bay surrounded by mountains. It is mainly a starting point for the hike up to Eze Village, as the train station is located there and the coastal buses pass along the main road. – Eze Village is perched on a rocky promontory, just above the panoramic “Moyenne Corniche” road linking Nice to Monaco, at an altitude of about 430m. 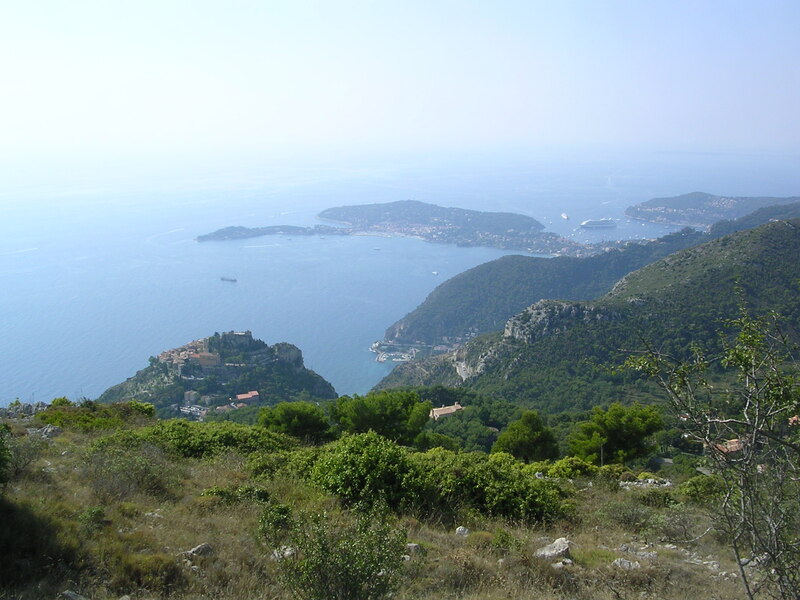 – The Col d’Eze/Plateau de la Justice, located at 650m above sea level is a good spot for coastal hikes and picnics. – By bus: bus number 82 heads directly to Eze village from the Vauban bus stop in eastern Nice (close to the Acropolis conference centre) and runs at intervals of around 90 minutes. 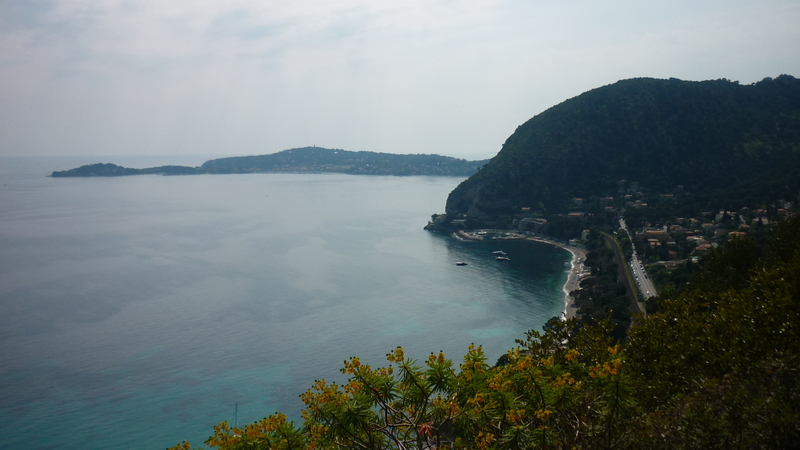 Otherwise, bus number 100 is much more frequent and follows the coast: it will drop you near the Eze sur Mer train station, if you fancy the uphill walk. Finally, line 83 runs between the train station and the village if you don’t feel like walking but the buses run much less frequently. Click on the bus numbers for timetables. – For me, the main draw is climbing up the famous Nietszche trail from the coastline to the Village, named after the German philosopher who lived up there in the late 19th century. It is said that he climbed up the trail every day in the summer and that the heat gave him the hallucinations and inspiration for his work “Also Sprach Zarathustra “. I personally think that the daily trek up the hill also led to his celebrated madness… All this to say that the trail is ideal to climb up in the spring, autumn and winter, but not in the summer when it gets rather too warm in the sun, despite the gorgeous views. 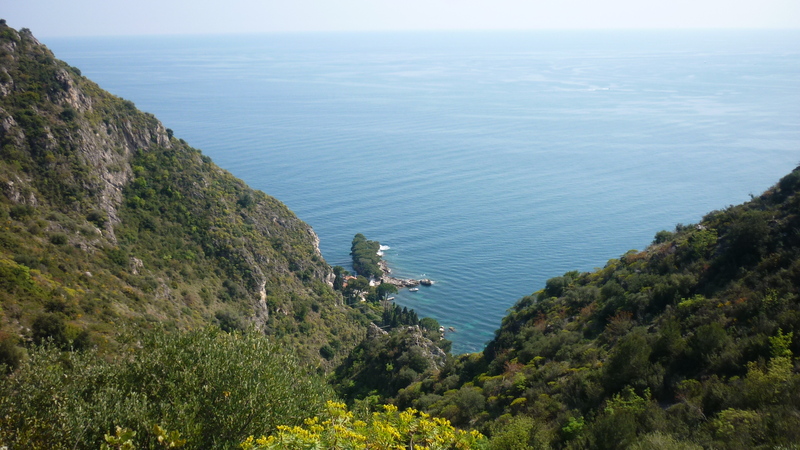 The first half is in the sunshine, directly facing the sea and the bay of Eze, then the trail turns inland and up the forested Vallon du Duc, before reaching the village. Bring plenty of water but hiking boots aren’t essential, trainers are enough. – The Village itself doesn’t have that much to see but is pleasant to wander around, soaking in the atmosphere and the architecture. Two main 5-star hotels – the Chèvre d’Or and Chateau Eza, the latter being the former palace of the King of Sweden – have fantastic but expensive food and views. The best view is from the Jardin Exotique, right on top of the mound, affording a view over the coastline overlooking Cap Ferrat, and you might even see Corsica on a clear winter’s day – even though you do need to pay a frankly exaggerated 5€ to enjoy this view, you will have probably walked your way up to the village so you deserve it! Otherwise, a historical church, some fortifications and plenty of nice but overpriced “art, craft and pottery” galleries for tourists. Do note that Eze Village also has a perfume factory, Fragonard which is an interesting visit if you are so inclined. However, the drawback is that it is a major stop for tour groups heading to Monaco from Nice so the place can get rather packed if there is a cruise ship in the vicinity… Fortunately the masses do not stay there too long, just the time to follow their guide towards the gift shop!! !